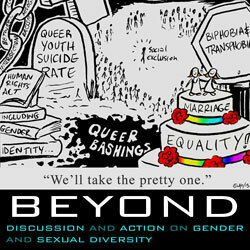 Audio from the session: Beyond the gender binary. There is so much more than she and he, him and her. Discussing the realities of gender outside the binary.